Facelift surgery addresses loose and sagging skin along with excess fat deposits in the neck, the jowls and throughout the lower face. However, for men and women who have sunken skin, hollow cheeks, or deep wrinkling, a facelift will not be very effective. 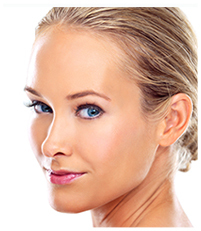 These issues respond much better to nonsurgical solution such as dermal fillers. What is liposuction recovery like? Well, that depends entirely on the specifics of your procedure. Your natural healing abilities and your willingness to follow Indianapolis plastic surgeon Dr. Joseph Fata’s pre and postoperative advice will play a role as well, but the technique used may be the larger determining factor. Breast implants come in a variety of shapes and sizes, but which configuration will be best for your body? 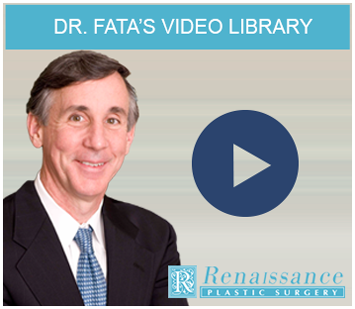 In this short video, Indianapolis breast surgeon Dr. Joseph Fata discusses breast implant shape, a factor that can have a significant impact on your final results. While this video is very informational, the only way to truly determine which shape of breast implant will best meet your needs is through a private and confidential consultation with our board-certified plastic surgeon. Tumescent liposuction is a lipo technique that offers a number of benefits over traditional alternatives. Using tumescent fluid, Indianapolis liposuction surgeon Dr. Joseph Fata can swell fat deposits, allowing for easier and more complete removal of unwanted and unneeded fat accumulations. Because excess fat is made easier to remove, trauma to surrounding tissue and muscle is greatly reduced. This, combined with the anesthetic ingredients in tumescent fluid, allow tumescent liposuction to be performed without general anesthesia – eliminating those risks associated with heavier forms of sedation. Gigantomastia is one of two types of breast hypertrophy – a rare medical condition in which breast tissue grows too rapidly, resulting in excessively large breasts. Often impacting one breast more than the other, gigantomastia typically results in asymmetry, although uneven breast size is far from the largest problem posed by this condition. Women suffering from gigantomastia may struggle with extremely heavy breasts that cause severe and even debilitating pain. Many women with the condition also experience itchy lesions, peeling skin, and other serious discomforts. Having children can permanently alter the appearance of some of your most noticeable features. In this short video, board-certified Indianapolis plastic surgeon Dr. Joseph Fata discusses these changes, and how the mommy makeover procedure can address them to restore your body to its most appealing and healthy-looking state. How long will I look the way I do after a facelift? This common question is addressed in the short video from Indianapolis plastic surgeon Dr. Joseph Fata. If you have specific questions about facelift surgery or if you would like to schedule a consultation at our Indianapolis plastic surgery office, please contact Renaissance Plastic Surgery online or by calling 317-575-9152 today. Liposuction is a safe and effective way to eliminate pockets of fat that have failed to respond to diet and exercise. Particularly as we age, fat accumulations can become resistant to dietary changes and physical output, making it very difficult to restore ideal body shape and tone. With liposuction, Indianapolis plastic surgeon Dr. Joseph Fata can address this issue, revealing your true shape and helping you look and feel your absolute best. Three facial rejuvenation procedures have made the list of the top five plastic surgery procedures performed in 2016. The list, produced by industry organization the American Society of Plastic Surgeons, is compiled of data gathered from board-certified plastic surgeons and produced annually. Rhinoplasty (nose surgery), blepharoplasty (eyelid lift), and facelift all made the top five last year, indicating that facial rejuvenation remains something of interest to both men and women as we age. The American Society of Plastic Surgeons (ASPS) reviews procedural data from thousands of board-certified plastic surgeons to provide an annual list of plastic surgery trends. For several years, breast augmentation has topped that list. This year is no exception.